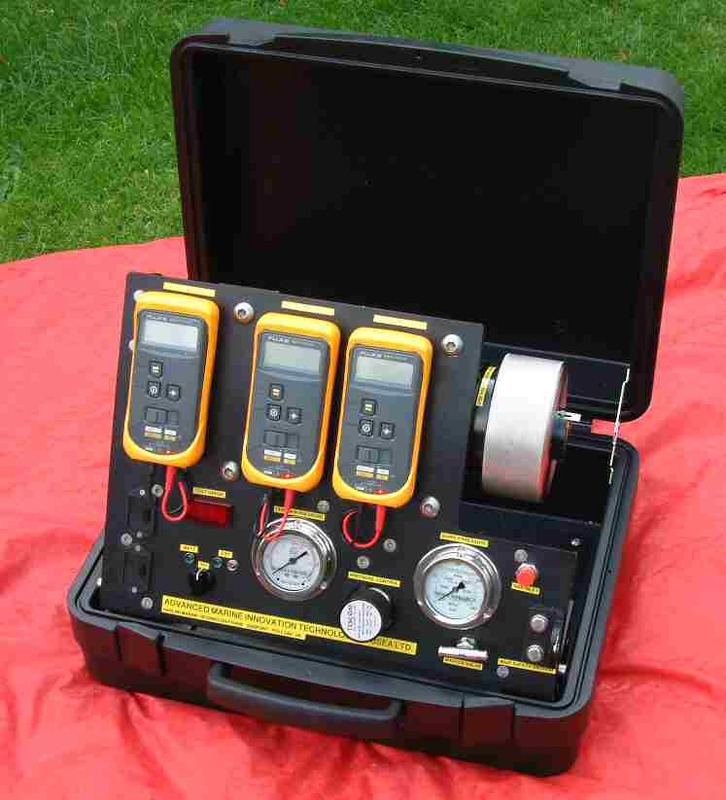 Specialist test equipment for field use can be specified and constructed. For example alongside we show a portable test kit for the purposes of testing the cells that monitor oxygen partial pressure in modern mixed gas rebreather diving equipment. The test kit reproduces the hyperbaric environment and permits testing beyond the normal operating range in order to provide a margin of safety. The kit features a quick release endcap on the test chamber and simultaneous monitoring of the outputs of three Oxygen sensor cells.